Yesterday was a busy diabetes day. In addition to just having diabetes (and believe me, that’s enough! ), I attended an advocacy training program sponsored by the American Diabetes Association (ADA) and there was a vote by an FDA Advisory Committee regarding the Dexcom G5. 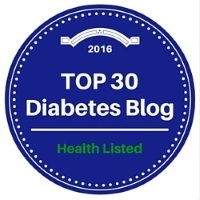 Number #1: My Diabetes: Nothing momentous to say about my diabetes except that yep, I’ve still got it. I had a big unexpected BG spike after a restaurant salad lunch. Maybe there was hidden sugar in the salad dressing. Maybe my glass of wine decided to be a problem. Maybe it was the mid-morning peanut snack dosed with an extended bolus. Maybe it was because it was 90+ degrees outside with off-the-chart humidity even though I was comfortable inside with air conditioning. Maybe it was because it was Thursday. This is the sort of stuff that makes it a miracle that those of us dealing with Type 1 even have a modicum of sanity left in our lives. Number #2: ADA Advocacy Training: I attended a late afternoon Advocacy Training seminar sponsored by the American Diabetes Association. I found it to be very empowering and in a moment of bravado, I signed up to be available for in-person office visits to my congressional representatives. I am a confident advocate when writing, but speaking and putting myself “out there” border on terrifying. The ADA has a good app for advocacy and I suggest that you check it out. It provides information on national and state advocacy priorities and links to easily become involved in ADA advocacy. Search for “Diabetes Advocacy” in the app store. Because Scott Johnson was the reason that I knew about this seminar, I can’t say that it was a surprise to run into him by the Diet Coke cooler. But it’s always a pleasure to see Scott. Number #3: FDA and Dexcom G5: I was pleased to receive an email from Bennet Dunlap of DPAC sharing news from yesterday’s FDA Advisory Committee meeting on Dexcom G5 labeling. The panel voted 8-2 to recommend approval of a G5 labeling change to allow insulin dosing without a confirmatory BG meter test. The FDA will have to make the final approval, but it is likely that the advisory committee’s recommendation will be accepted. This change should help justify Medicare coverage for CGM’s as well as expand the use of CGM to more patient populations. That’s it for today. Have a good weekend!